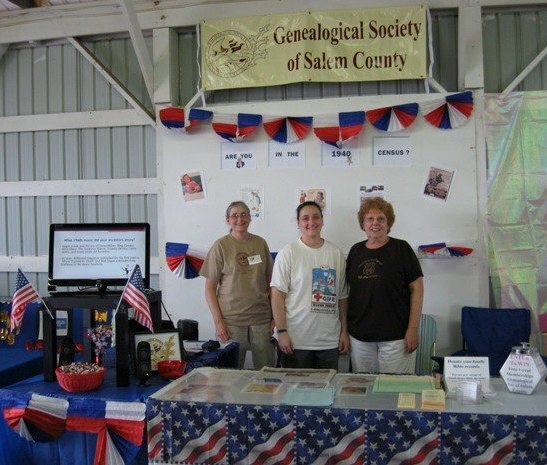 Every August, the Genealogical Society of Salem County has a display at the Salem County Fair. This is a wonderful opportunity for the Society to reach out to the community and find potential new members who are interested in family history and genealogical research. Each summer, the Society uses a different historical theme for its booth. 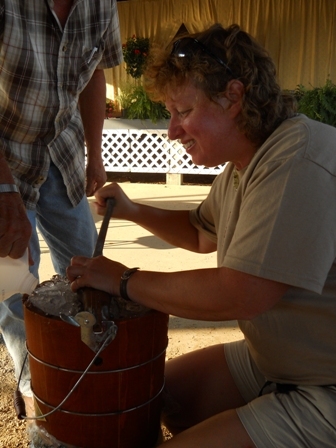 In recent years, a team from the society has participated in the homemade ice cream contest. Antique costumes and historic themes have helped the Genealogical Society win the prize for best display for the past three years. Be sure to check out our booth at the fair this coming August! 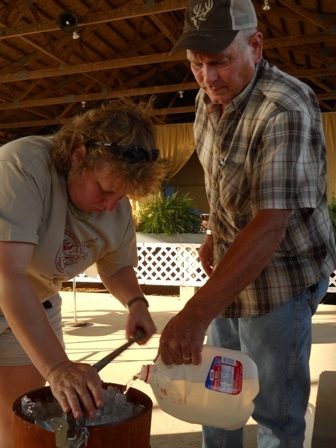 For more information about the time and location of the fair, visit the Salem County Fair website. The Genealogical Society's booth at the Salem County Fair this year was modeled after a Civil War Hospital Tent as we honored local nurses, both past and present. On Wednesday evening, President Bonny Beth Elwell dressed as Civil War nurse Cornelia Hancock who nursed the wounded at the Battle of Gettysburg 250 years ago. The display included information and a slideshow on the life of Cornelia Hancock, a Salem County native, and other Civil War nurses. Also on display were photographs of other local nurses and midwives from our members' family trees. 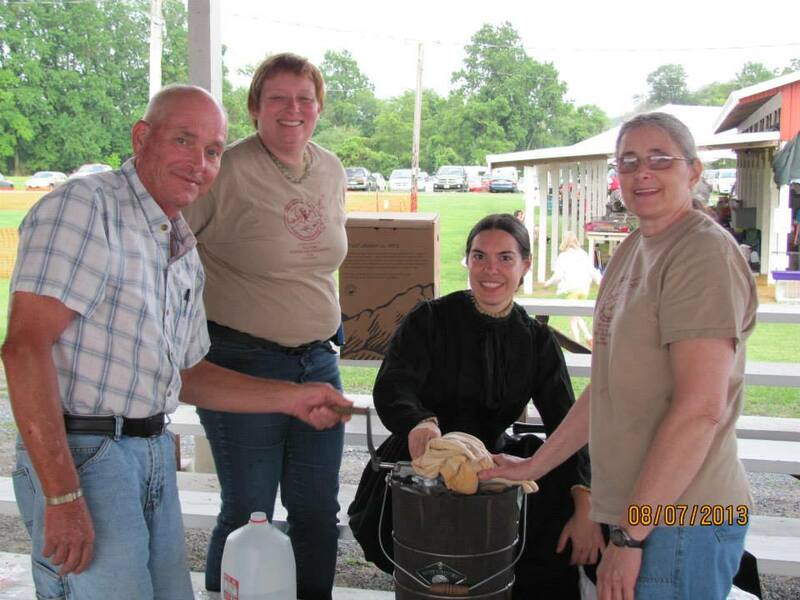 For the third year running, the Genealogical Society's ice cream team won Best Presentation at the Ice Cream Making contest, with one of our team members dressed in antique clothing as local Civil War nurse Cornelia Hancock. Our fair booth theme for August 2012 was the 1940s, in the honor of the release of the 1940 census. A power point slide show was a new addition to the display, along with our new banner. 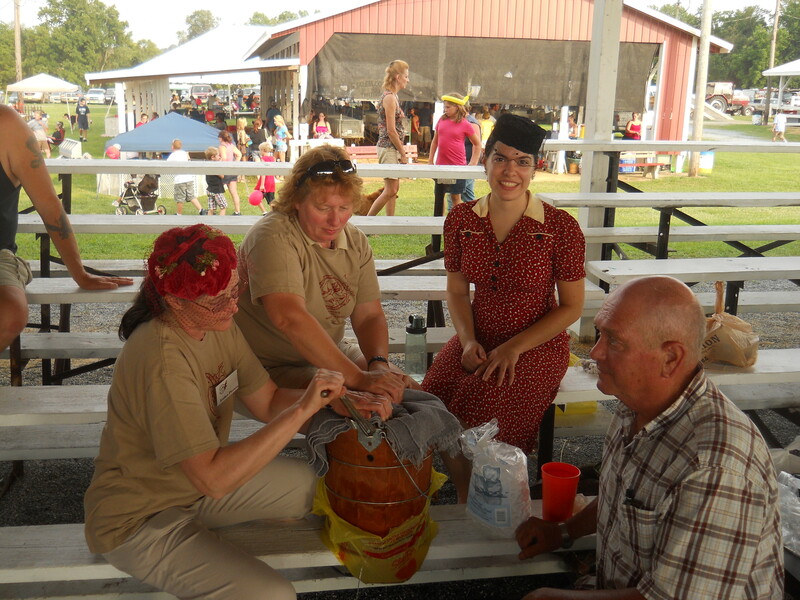 Once again, we participated in the Ice Cream Making contest, with a touch of vintage hats and clothing. 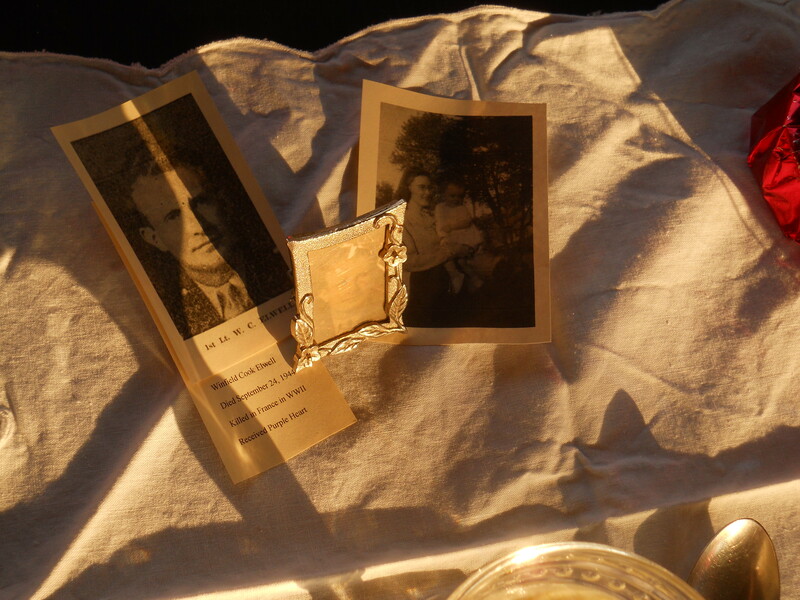 We won a blue ribbon for best presentation, which included images of a relative killed in World War II. 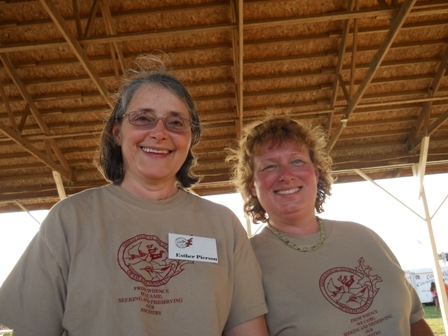 Two members of the Genealogical Society's ice cream making team model their society t-shirts. 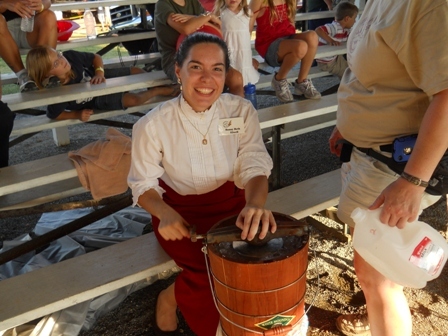 President Bonny Beth Elwell churns ice cream in period costume. The team carefully adds salt water to the ice while continuing to turn the crank. After we finished churning the ice cream, we won two prizes!